ACTION ALERT UPDATE! SENATE APPROPRIATIONS COMMITTEE TO DECIDE FATE OF AMERICA WILD HORSES AND BURROS NEXT TUESDAY AND THURSDAY: CONTACT SENATORS NOW! The moment has finally come. We have just learned that the Senate Appropriations Committee has finally scheduled the markup sessions for the FY2018 Interior appropriations bill next Tuesday 17th and Thursday 19th. 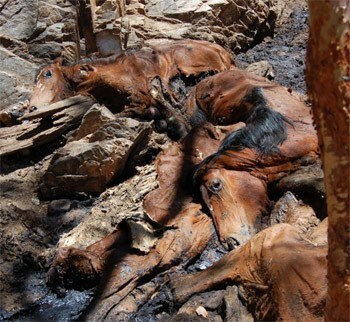 Potential Future Carnage of our Native Wild Horses and Burros ~ this horror will be real! As you likely already know, last July, acting at the request of the Trump administration and specifically Interior Secretary Ryan Zinke, the pro-slaughter lobby led by representatives Chris Stewart (R-Utah), Mark Amodei (R-Nevada), Ken Calvert (R-California), Mike Simpson (R-Idaho) and Adrian Smith (R-Nebraska) moved to remove from the FY2018 House Agriculture and Interior Appropriations bills long-standing bans preventing BLM from killing and selling at will without restrictions (including for slaughter) wild horses and burros in holding and freshly captured, as well as banning USDA from conducting mandatory pre-slaughter inspections of horses at slaughter plant, hence preventing new horse slaughter plants from opening up in the US. With such move, both the Trump administration ( which takes advice directly from horse slaughter lobbyist and anti-animal activist Forrest Lucas) and Congress’ horse meat and welfare ranching lobbies, attempt to bring horse slaughter back to US soil and, particularly, to kill by whatever means possible (most likely gunshot) all the federally-protected wild horses held at BLM corrals or those freshly captured that are deemed “in excess” arbitrarily by BLM. The intention behind this hideous move is to make room at BLM facilities for all remaining wild horses in the range to be rounded up, institute a mass extermination mechanism using tax-payer funds to get rid of them as new horses come in BLM facilities and, ultimately, eliminate all wild horses, releasing the resources for welfare ranchers like Cliven Bundy to allocate more cows and for the ultraconservative, anti-animal lobby to make an ideological point about the place and value of wildlife in our society, which according to them is none. If Trump, Zinke and Stewart get their way, approximately 75,000 wild horses , counting the 45,000 in holding plus the remaining 30,000 in the range, will be murdered in the coming years, resulting in the largest massacre seen in US since the extermination of the buffalo. This is, indeed, Trump’s “final solution” to his wild horse and burro “problem”. Regrettably, the House of Representatives turned a blind eye to this travesty and passed their FY2018 omnibus appropriations bill without the languages preventing new horse slaughter plants from operating in the US and prohibiting BLM from killing healthy wild horses and burros and selling them for slaughter at will. Fortunately, Senators Tom Udall (D-Colorado) and Lindsey Graham (R-South Carolina) are aware of this travesty and are attempting to reverse the situation. Last July, senator Udall inserted back in the Senate agriculture appropriations bill the language preventing horse slaughter plants to operate in the US (by withholding funds for mandatory pre-slaughter inspections). Now, it is time for the Senate Appropriations Committee to markup and the Interior appropriations bill, which will decide the fate of America’s wild horses and burros. Next Tuesday 17th at 09:30 EST, the Senate Appropriations Subcommittee on the Interior, Environment and Related Agencies, chaired by senators Tom Udall and Lisa Murkowski will hold a markup session in which they will present the draft text of the FY2018 Senate Interior appropriations bill, allow debate for the introduction of amendments and then vote it to present the approved text to the full committee. Then, two days later, the full Appropriations Committee will hold a markup session at 10:30 hrs on the bill text presented by the subcommittee, allowing the introduction of further amendments shaping the final language of the bill that will be referred to the full Senate for a vote. The Subcommittee on the Interior, Environment and Related Agencies can decide whether to carry the language banning BLM from using funds to kill and sell without limitation wild horses and burros in its care from the last Interior budget bill that was passed into law or insert it again as an amendment. Since the last Senate Interior bill contained the wild horse protection language, the former is the most likely outcome. Similarly, if the language is not carried over from the previous budget or inserted by the subcommittee, it will have to be inserted during the full committee markup by means of an amendment . Similarly, even if the language is carried over, it may be removed by pro-slaughter forces by means of an amendment. In either case, this is the last chance to save wild horses and burros from being slaughtered or shot to death by Bundite cowboys. If the wild horse protection language is not present in the bill’s committee report referred to the full senate, it is over for wild horses and burros. Keep calling and faxing all members of the Senate Appropriations Committee –and particularly the members of the Subcommittee on the Interior- asking them to oppose any language allowing BLM to sell without restrictions wild horses in holding or authorizing the killing of healthy wild horses in holding or on the range as “management option”. Tell staffers that you don’t want government to shoot and slaughter wild horses and that all arguments put forward by those wanting to slaughter wild horses like as Stewart and Amodei, such as that wild horses are starving and killing them “is the right thing” are completely false. There are tools available for BLM to manage wild horses and burros on the range but BLM always refused to use them, stating privately during the infamous “Slaughter Summit” that they will only consider slaughter and shooting. The move by the House to authorize the mass killing and slaughter wild horses and burros is just a handout to welfare ranchers for purely ideological reasons. Enclosed at the bottom of this message you can find a list of all members of the Senate Appropriations Committee with phone and fax numbers for their DC offices, plus a link to a template fact sheet (courtesy of Linda Loman) you can use when faxing them to follow up with your call in order to support our position. Faxing is best since it forces them to take down your comment, name and address and log it. You can use a free online faxing service to send them, such as FaxZero (https://faxzero.com/) or GotFreeFax (https://www.gotfreefax.com/), this is the cheapest and fastest way to do it. Since there is a limit on the number of faxes you can send per day, combine any of the services described at https://www.lifewire.com/free-fax-services-2378048 to reach all members of the Appropriations Committee. The template has been optimized to only 3 pages-long, hence being possible to be sent through the FaxZero service at no cost. Again, I cannot stress any stronger how important is to get the language banning BLM from killing wild horses included in the bill text passed by the appropriations committee. This is the last thing that stands in the way between mustangs and their death at the hands of BLM and the welfare-ranching lobby. If we fail to get this amendment passed, it is game over and you better start kissing wild horses goodbye. We will post further updates, including live ones during the committee ‘s markup sessions in the next few days. 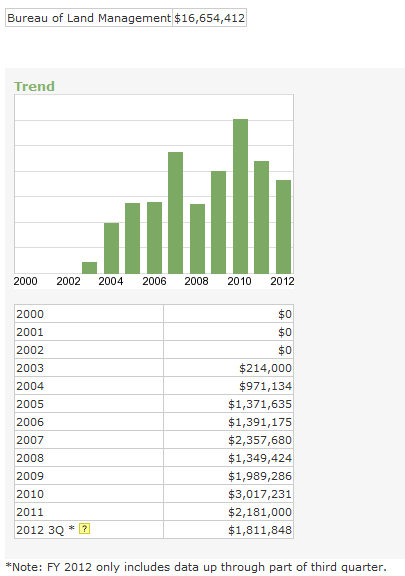 What does Zinke have in common with the Queen? Thanks for this Daniel. One question: it was my understanding the Senate will take up the language the House approved in July as the Senate starting point. Your article here seems to indicate otherwise. Can you or anyone post what the exact language is that the Senate subcommittees will start with on Tuesday? Also, not sure who provided the photo but that does not show slaughtered horses, only horses that appear to have been killed and dumped (which is something the pro-slaughter folks would publish to indicate what happens without slaughter facilities running). Can someone provide a source and caption for this photo please? from the Bureau of Land Management, independent investigations, and legal analysis of the implications of our findings in light of the Wild Free-Roaming Horses and Burros Act, 16 U.S.C. §§ 1331-1340 (“Wild Horse Act”). to significant problems with the administration of the program, and to suggest a path forward that will benefit all stakeholders. As you may know, the fate of America’s wild horses and burros – some of the most important and iconic animals in American history – is at a pivotal stage this month, as Congress considers amendments to the Wild Horse Act that could open up unlimited opportunities to kill wild horses on the range and in captivity. Before any such decision is made, the data and conclusions in this White Paper must be considered and addressed openly – in Congress, at the federal agency level, and in the public eye. It appears that there are NONE that are responsible! Well, in more ways than one, I guess! This seems to be par for the course. I agree with you 100% Deborah……and it’s not just the BLM that gets away with this kind of cruelty. I have long been opposed to the government’s war on wild horses especially as it is based on the foundless premise that they are competing with cattle and sheep for pasture land. I have yet to see any proof that they are occupying prime grazing land. This is a fallacy that has been perpetrated by the cattle industry since the pioneers went west. When will we begin to follow the principles of the Lord God who created this earth, who breathed life into the spirit of the horse, as well as all the other creatures, before He created man? We were told to nurture and care for His creations–what the BLM and anyone who supports this move is proposing goes against that directive. As a follow-up to our last action alert, we are presenting a new strategy for this last stretch to implement in addition to contacting the members of the Senate Appropriations Committee. This strategy is based on following up our calls and faxes to committee members with calls and emails to their animal welfare staffers with the goal of hammering our points with somebody who is specialized in the matter and in position to advise Senators how to vote or act on the matter. If you feel like doing something else besides contacting Senate’s Appropriations Committee members, please join and us and contact staffers as well as directed above. We will be posting futher updates as soon as we have any news on the matter. – Accordingly, the National Academy of Sciences has requested the BLM to shift their strategy to something proven to work for population control! – Study resulted in findings of positive fertility control with no ill effects. – Best of all, unlike roundups and removals, using the vaccine would actually help, as necessary, control wild horse populations! -When arguing wild horses damage Western grazing lands, the BLM ignores the millions of head of private livestock it allows to graze on those same public lands! -Range conditions in steep hilly areas favored by horses exhibit less disturbance than in lower areas frequented by cattle – why? – These roaming “landscapers” contribute to the build up of the absorptive, nutrient-rich humus component of soils which, in turn, helps soil absorb and retain water upon which many diverse plants and animals depend. – Additionally, because horses wander farther from water sources than many ruminant grazers, they serve as fire preventers. These widespread, “landscaped” areas have less ground fuel (grasses and brush); less ground fuel means less fire; less fire means less fire suppression costs in addition to less loss of property and endangerment to human and animal lives alike. An unexpected benefit! MYTH: Wild horses take away grazing land from cattle. -Wild horse habitat has been reduced by several million acres since 1971 by BLM -The BLM has insured “unsustainable growth” of its own management program. There is one other factor to consider. Killing horses or shipping them to slaughter requires them to be managed via roundups and removals, costing millions of dollars and placing the government in the horse slaughter business. A national poll conducted this year shows 80% of the American voting public strongly opposes horse slaughter. 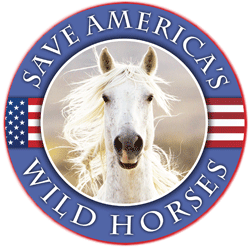 These findings are consistent with polls done years ago; public pressure to preserve wild horses so strong in 1971, the U.S. Congress voted unanimously to approve the Wild Free-Roaming Horse and Burro Act. Americans’ love of wild horses has not diminished. Please respect American taxpayers’ and voters’ wishes. Choose to continue protection of our wild horses/burros and return them to their own rangelands. It is economically and efficiently possible to manage them humanely instead of relegating them to a footnote in American history. The BLM could also give back the 22 million acres they took from Herd Areas for use by the wild horses and burros. This option needs to be pushed. Livestock Grazing on the Public Lands, 53 IDAHO L. REV. 425 (2017). Based on the BLM’s own guidelines, the agency is managing most wild horse herds with no regard for the genetic health necessary to the long term preservation of these herds. The WILD BURROS are almost gone. They just quietly disappear. Genetic diversity of burro populations well below what you would see in healthy populations. 12 burro HMAs with populations between 2 and 49 animals. Burro populations do need priority for genetic management. Maintenance of genetic diversity over time is going to require higher population size than even the largest HMA now has. Also worth noting: 28 of 31 states represented on the appropriations committee have NO FREE ROAMING WILD HORSES OR BURROS! Montana, with only the Pryor Mtn. HMA (managed for around 100 adult horses; 7 HMAs emptied of horses, totaling 186,456 acres). New Mexico, with only 2 HMAs (AML 83, three HAs emptied of horses, totaling 33,000 acres).